The picture of ECC that I observe is usually damaged or stained front teeth, frequently with a brownish streak, close to the gum line, across all the front incisors. 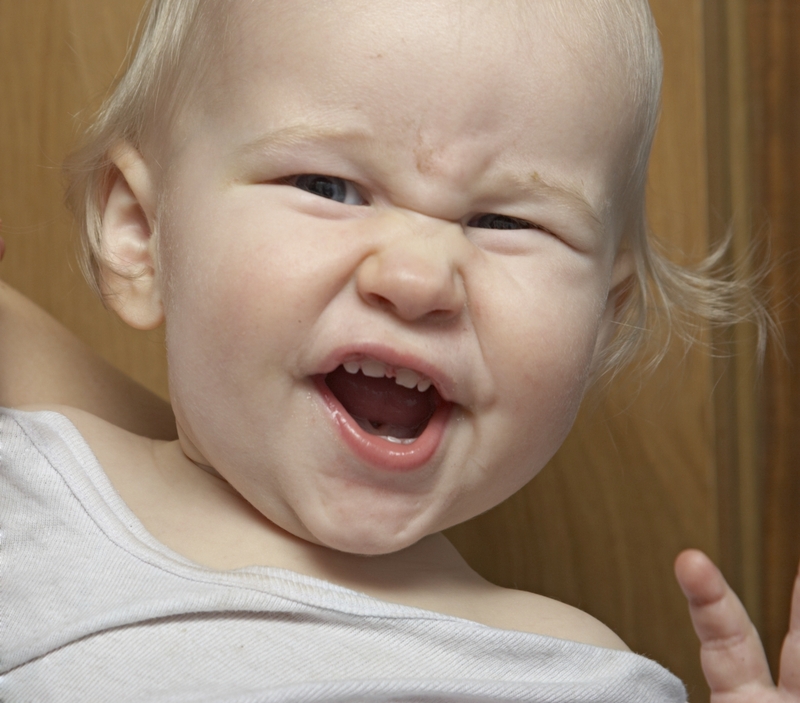 Sometimes there are additional white spots or de-mineralized patches on the flat surface of these same teeth and also on the baby molars. None of these defects seem sufficiently severe to suggest the child needs urgent treatment under sedation, although I agree that they do need urgent preventive education. 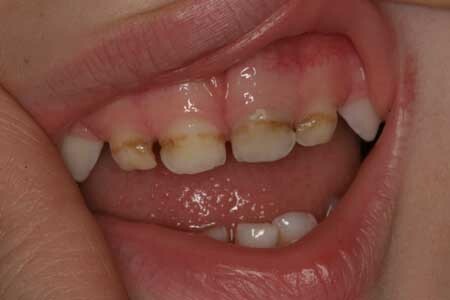 One family, waiting for a sedation appointment, showed me pictures of their child’s teeth and there was no decay at all. The damage was erosive from a habit this child developed – sucking lemon wedges. All that was needed was to stop this habit and learn about foods that protect teeth, like xylitol.